If your hay looks thick and stick-like, it won’t harm your horse, but it’s not going to do him any favors, either. This is often an indication that the hay was too mature at the time of cutting, and has lost some of its nutritional value because the plant started putting its energy into making seed. 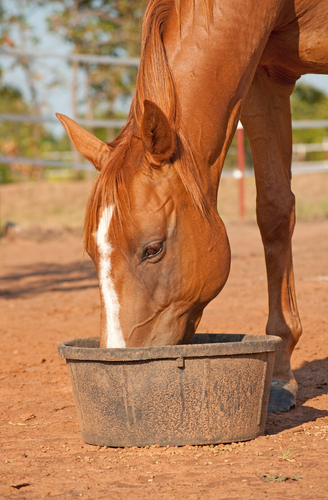 The hay’s coarseness will be less enjoyable for your horse to chew and digest. 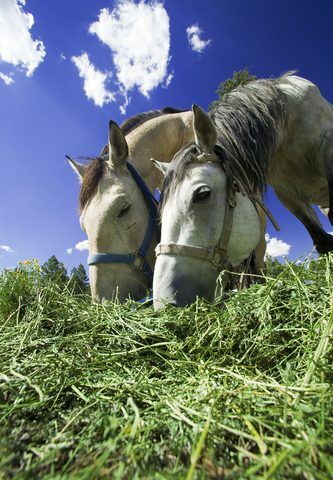 In general, if you see anything in your hay that isn’t grass, you should remove it before feeding. Many weeds are harmless to horses, but some are quite toxic, so it’s best to err on the side of caution. Always look at the hay as you pull off flakes to feed to your horse, and if you see anything you don’t recognize, pull it out of the flake. 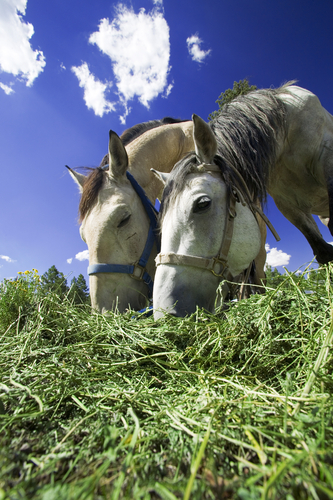 Moldy hay is troubling because it creates a lot of toxic dust that horses are likely to inhale while they eat. Inhaling these irritants can cause a chronic lung condition called heaves. Watch for not only visible mold, but also moldy odors or clouds of white dust when you separate a bale. Discard any hay that you suspect may harbor mold. As you separate flakes from the bale, also keep an eye out for anything that doesn’t belong. Baling twine can get mixed up in the hay and tossed to horses during feeding time, and while most horses will pick around it and not eat it, if they do eat it by accident it could require expensive surgery. You may find other foreign objects baled up into the hay, such as wire, string, paper, or plastic. Last but not least, a hay bale can include dead animals, including rodents and snakes. These carcasses can contaminate the hay with bacteria such as botulism that can make your horse very sick. It’s much harder but still advisable to watch out for insects such as blister beetles or ticks. Horses’ constitutions are far more fragile than a thousand-pound animal would seem. It’s important, therefore, to pay close attention to what you are feeding. Using hay pellets, which are quality tested and nutritionally guaranteed, remove the burden of knowing what’s in your horse’s feed. To find out more about the advantages of hay pellets, contact Sacate Pellet Mills at 602-237-3809.